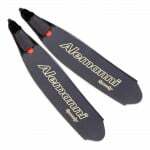 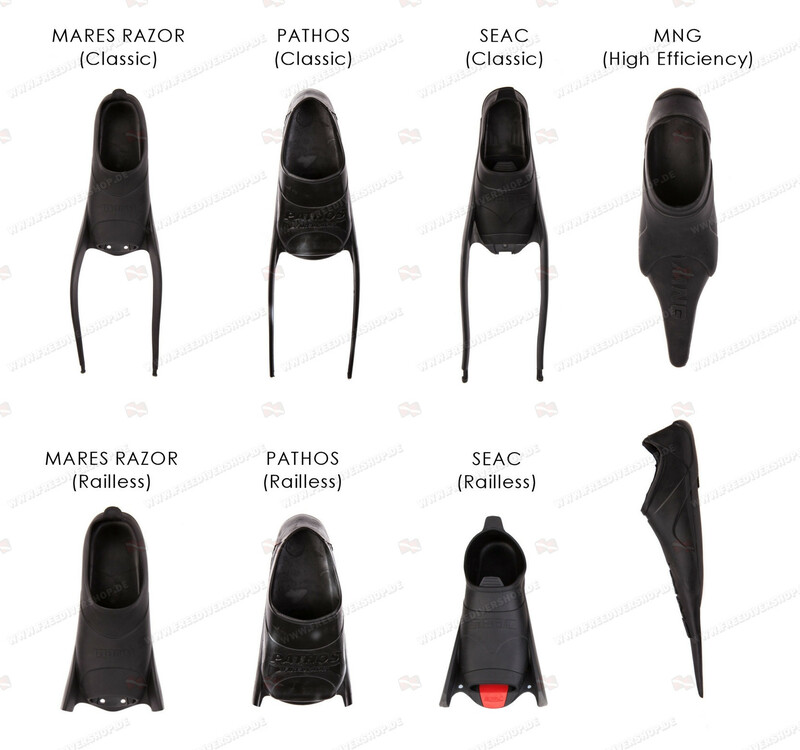 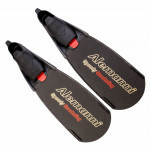 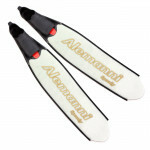 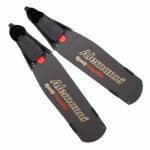 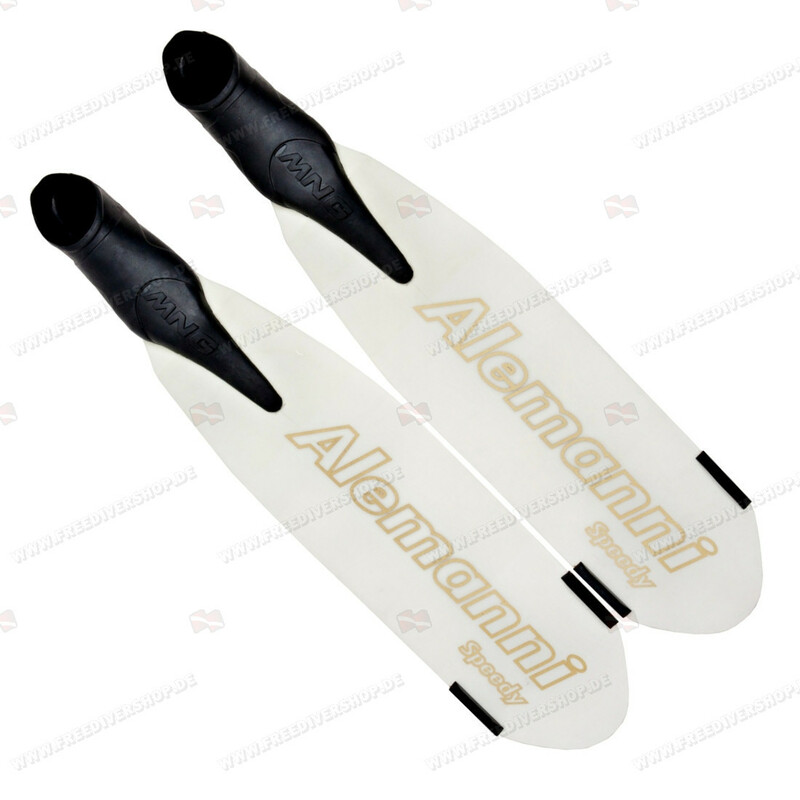 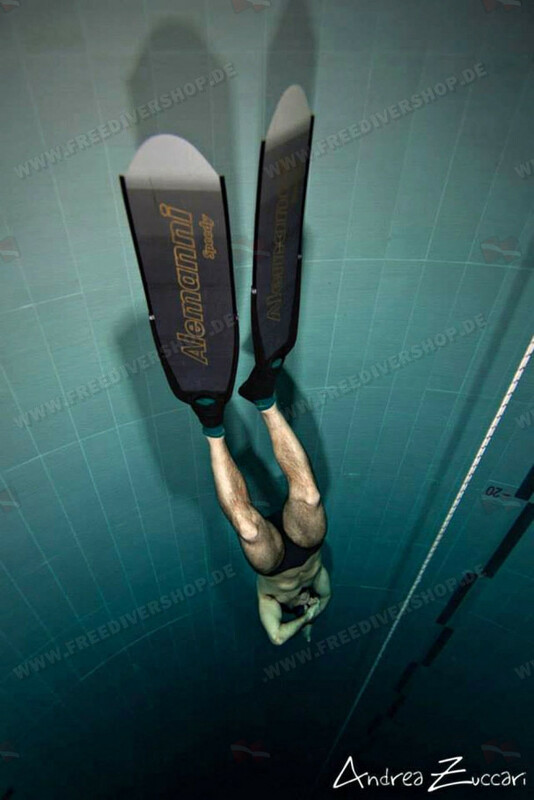 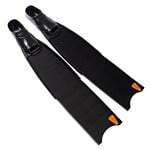 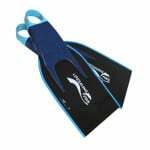 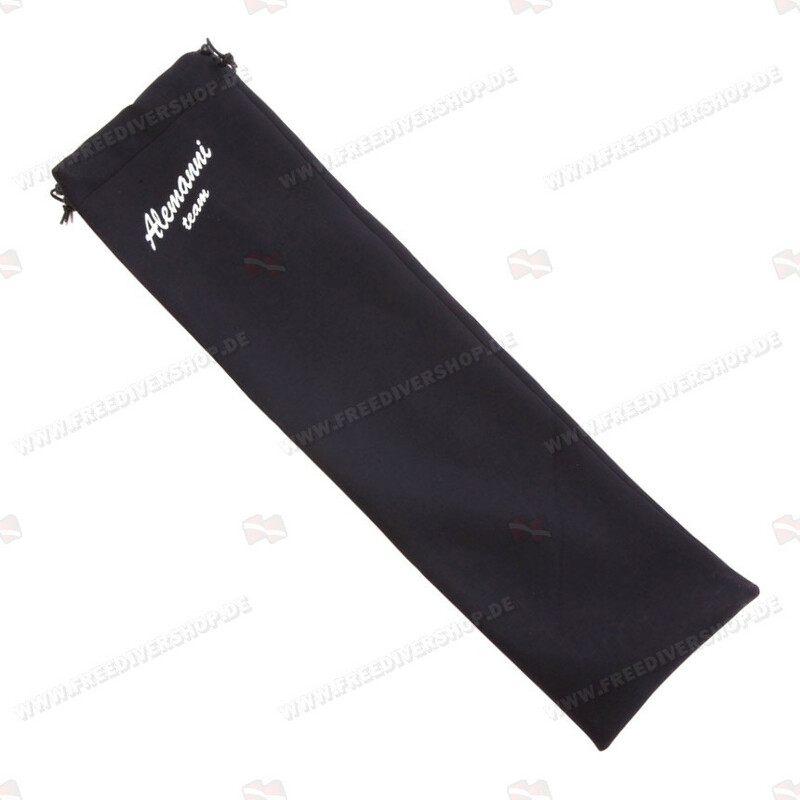 High quality hand crafted composite fiber Speedy Short fins from Alemanni. 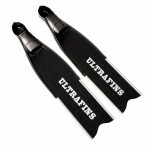 Featuring progressively layered short blades with extremely low profile - eliminating water turbulence and allowing optimal water channeling. 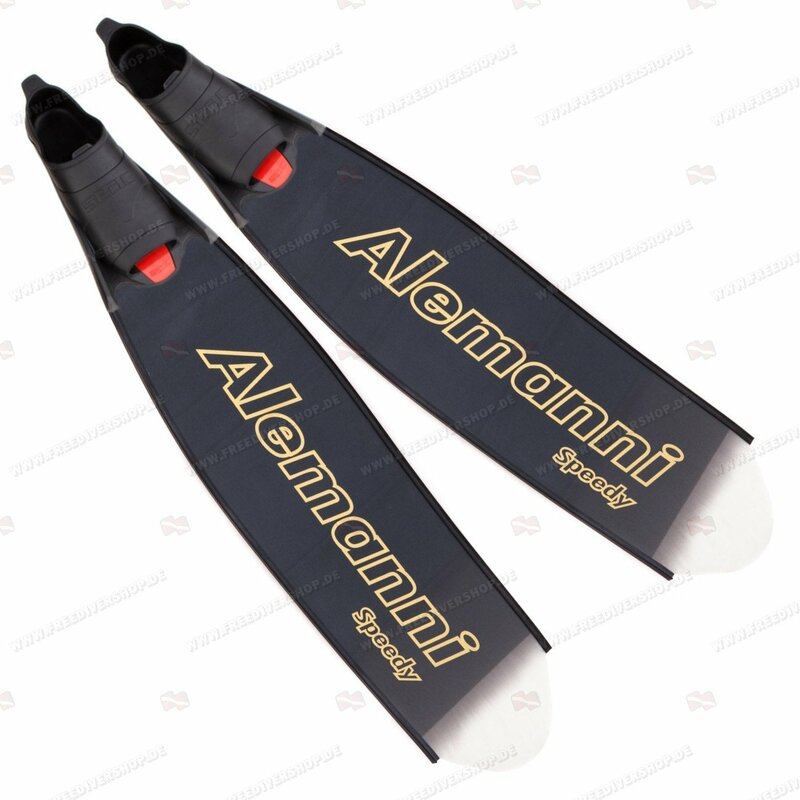 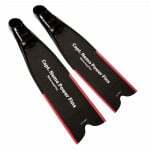 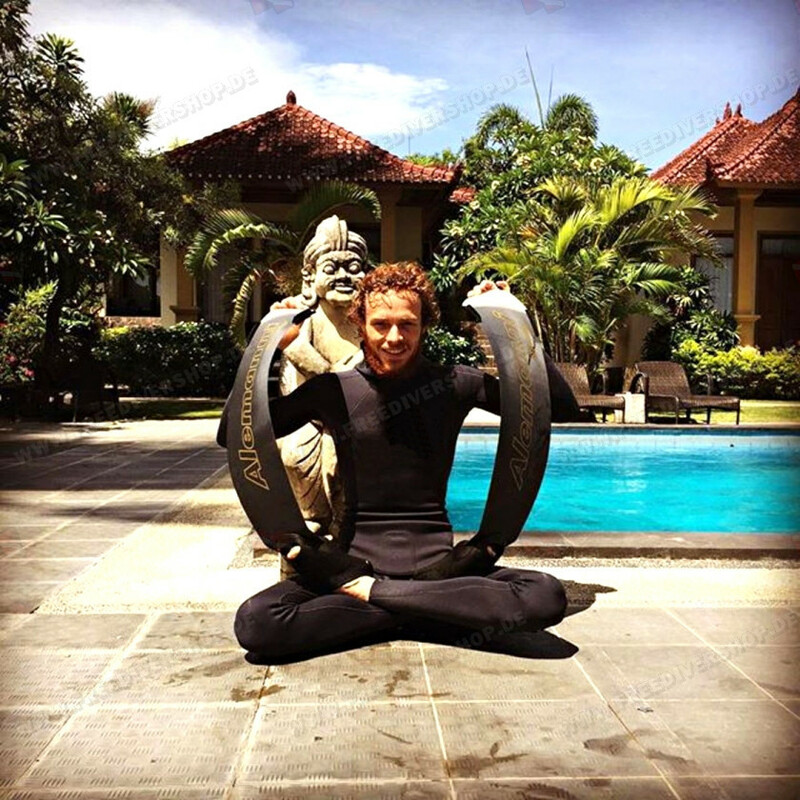 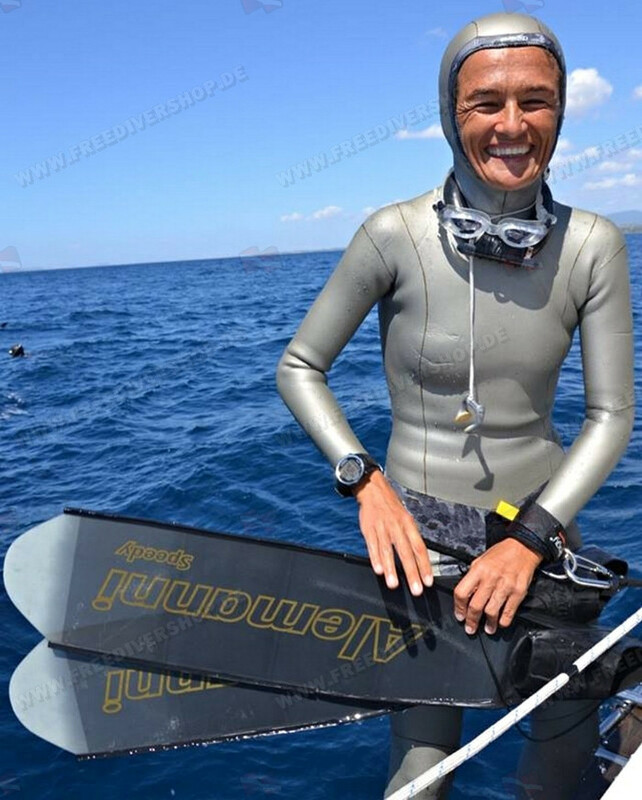 The blades are made from aeronautical grade VTR composite material with excellent resilience and responsiveness properties - offering unparalleled energy to propulsion conversion efficiency, resulting in effortless fining both on the surface and underwater. 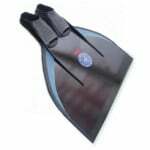 The blades feature a 27 degrees angle, allowing them to remain fully submerged during surface swims and promoting efficient fining underwater. 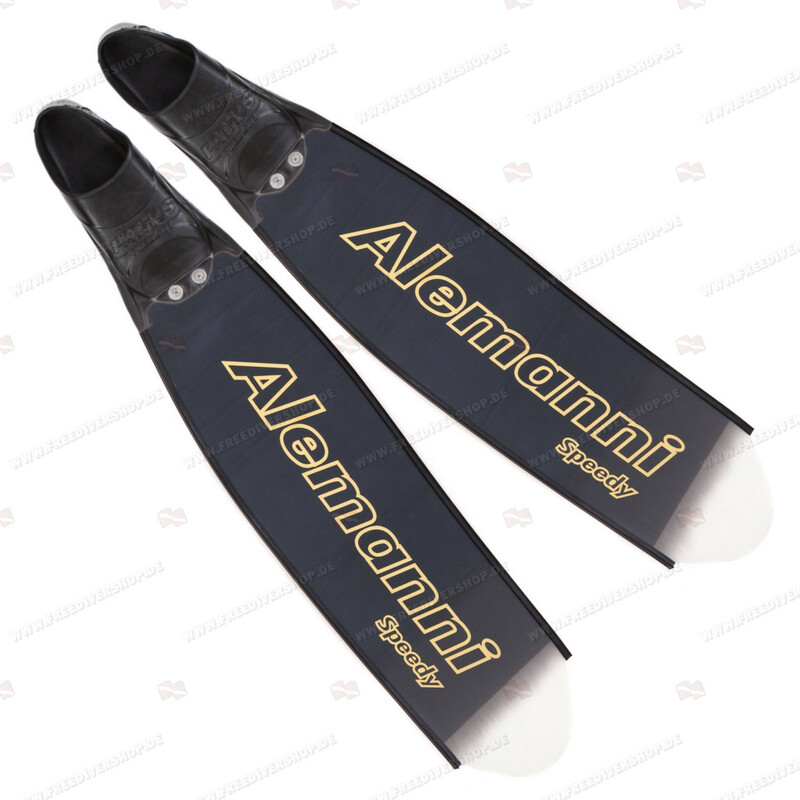 High quality hand crafted composite fiber Speedy Short fins from Alemanni.